For Jungjin Lee, photographing the landscape is an exploration of her own mind – the introspective states of the artist, whose photographic gaze is insistent and transformative. Her latest project Unnamed Road approaches the contested territories of Israel and the West Bank by turning to the landscape. Her black-and-white images are self-contained worlds of stillness and wonder, as Lee searches for something constant in the life of the landscape. Her images suggest that despite the semblance of fluctuation, some fundamental truths do not alter: just as the surface of the ocean is constantly in flux, its depths in fact remain unchanged and enduring. Lee, who describes her photographic state as ‘meditative’, regards the act of photography as emotional and experiential, a moment when ‘that absolute “echo” within myself travels through time and space’. Yet she struggled to find neutrality in a charged territory that she describes as ‘uncomfortable’; it was only in final trips to sites in 2011 that she found distance – thus opening out the work to signify more that Israel and its conflict. Lee’s work is often concerned with the materiality of printing technique, and for twenty years she has utilised a liquid photo-sensitive emulsion brushed on handmade rice paper, a method akin to painting. In Unnamed Road, for the first time digital processes were employed; and yet the images remain explorations of chance and imperfection, drawing the viewer into a realm where fullness of vision is the subject matter. 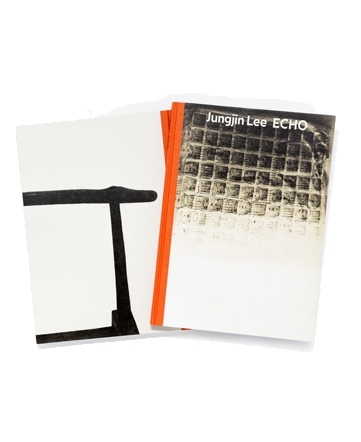 Jungjin Lee is a Korean photographer, who has published several monographs including: On Road/Ocean (2001), and Wind (2009). After artistic training in Korea she spent ten years in America studying photography, attracted to the marginalised American spaces rather than their inhabitants. Her work has been exhibited in numerous galleries and museums internationally including The Met, New York and the Whitney Museum of American Art, New York; and her photographs are included in the collections of the Los Angeles County Museum of Art, Houston Museum of Fine Art, and other prestigious institutions worldwide.